Before pouring the milk into a bag, make sure to write down the date and amount. This is important for moms who use donated milk for their babies because it makes it easier to keep track of how long the milk has been frozen. It also helps them plan better when thawing milk. Once thawed, frozen breastmilk is only good for 24 hours. 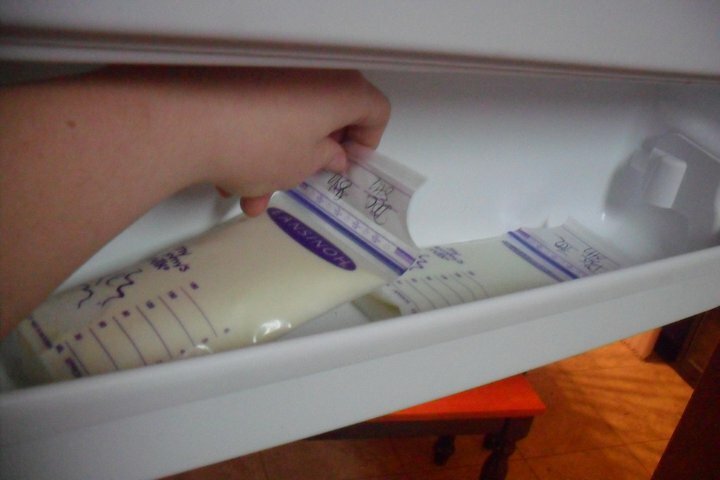 It’s important that moms don’t take too much out of the freezer in order to prevent wasting any precious milk. 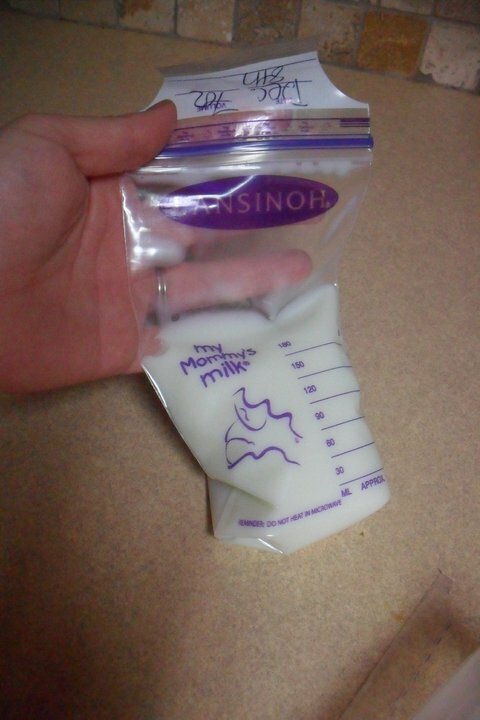 Try not to fill the bag too much, as the milk expands during freezing. It’s generally best to fill the bags to the guidelines of the manufacturer, but it’s OK to do a little more or a little less. Just make sure that the bag isn’t completely full with raw milk, as there will be a much greater risk for leaks. Squeeze the air out of the bag as best you can before sealing. To freeze flat, you can lay the bag on the shelf in your freezer, or even in the door on the side. Whatever flat surface works best for you. Once the milk is solid, you can move it to a different location in your freezer. IMPORTANT: Breastmilk should not be stored in the door of a freezer unless you plan on using it yourself in the very near future. The door is exposed to the warm air every single time it is opened, reducing the freezer life of the milk. Laura only put the milk in her door to freeze it flat. Once it was frozen, she put it deep in her freezer for storage. To make things easier for you, it’s a good idea to keep a list of how much milk you have frozen. This way, you don’t have to count it over and over again. Some moms keep a piece of paper on their refrigerator or in a notebook to keep track. Breastmilk is good for up to 6 months in the freezer that is attached to your refrigerator, or up to 12 months in a deep freezer. Thanks for this Bekki. I am using your post to try and figure out having 600oz shipped to me. I am wondering if you could tell me the size of the cooler that was used for the 1100 oz of breast milk that was shipped to you?. I am having a hard time trying to figure out what size to order and ship to my donor. Thanks so much for your post. It is very informative. That milk was frozen flat, by the way. If the milk is not flat, it won't hold quite that much. For 600oz in a cooler that size, you'll want to make sure that the excess space is stuffed with paper or anything else that can prevent too much air from being in there. Dry ice would be a good idea in a situation like this, as extra insurance. When I freeze milk I always kept it standing up on the door. Is that ok?